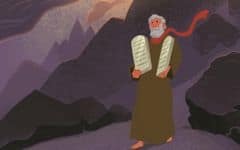 These 10 Commandments Bible lesson activities for kids highlight the importance of God's commands, and the wonderful, gracious act God performed when He revealed His laws to His people. 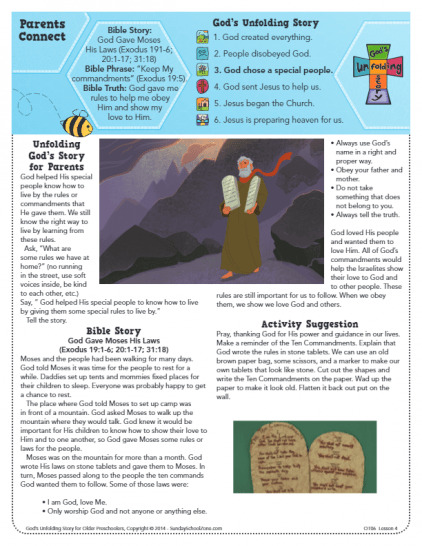 All of our Ten Commandments activities are free to print and use for home teaching or use in Sunday school or other group settings like Christian schools. The story we call “God Gave Moses His Laws” is about God giving Moses the 10 Commandments in Exodus 20. This video highlights insights and points of interest you might want to make as you teach the story to kids. 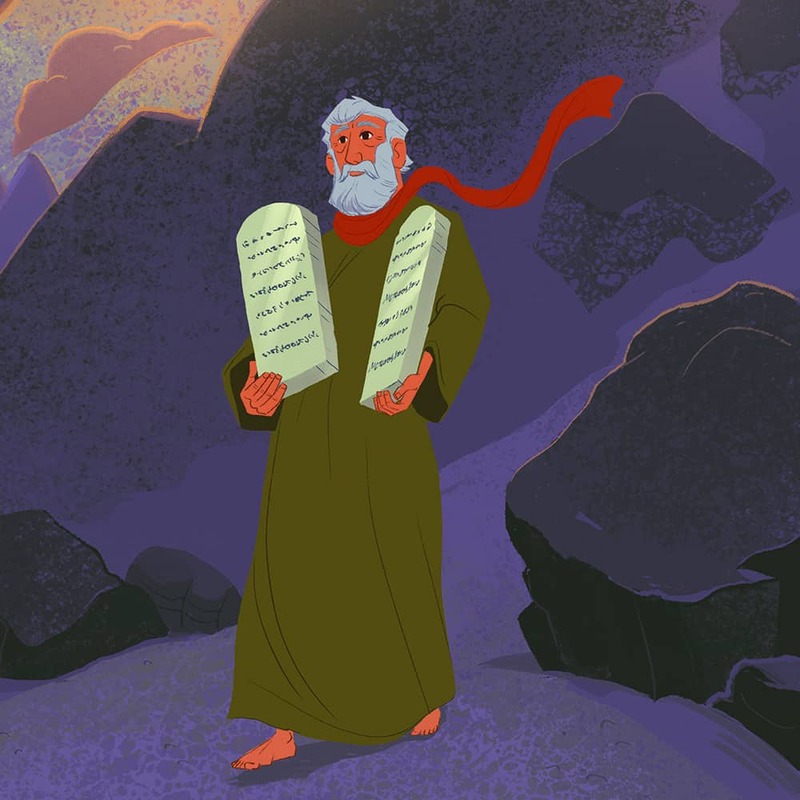 This profile provides a simple overview of the story of God giving Moses His laws in the 10 Commandments, along with highlights and relevant points of interest based on the text. When possible, we try to provide an approximate date for the event. Every lesson from God’s Unfolding Story for Older Preschoolers includes a full-color teaching picture for use in teaching the lesson. 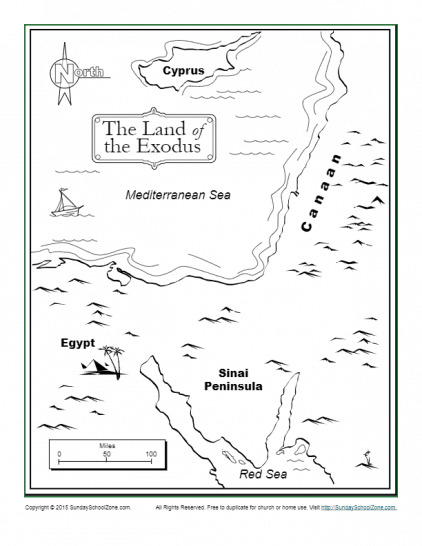 This is the teaching picture for God Gave Moses His Laws (OT06L5TP). Click on the Get Activity button below to view and/or download the teaching picture PDF. 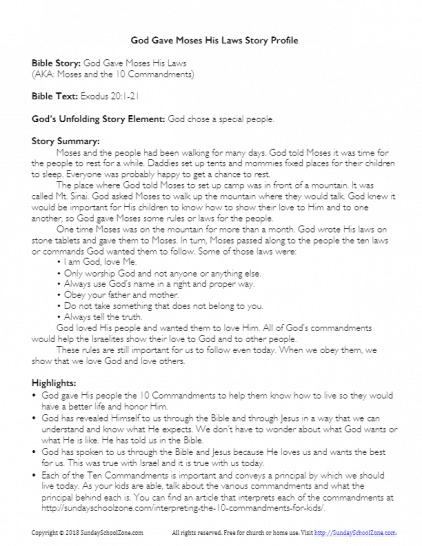 Every lesson from God’s Unfolding Story for Older Preschoolers includes a Parents Connect page to help parents or guardians reinforce the lesson at home during the week following the lesson. This is the God Gave Moses His Laws Parents Connect page (OT06L5PC). Click on the Get Activity button below to view and/or download the lesson PDF. Because the 10 Commandments are broad life principles, they are not difficult to understand or teach to children. 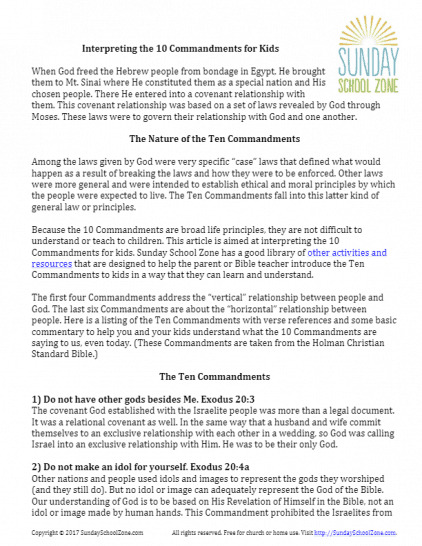 This article PDF is aimed at interpreting the 10 Commandments for kids. 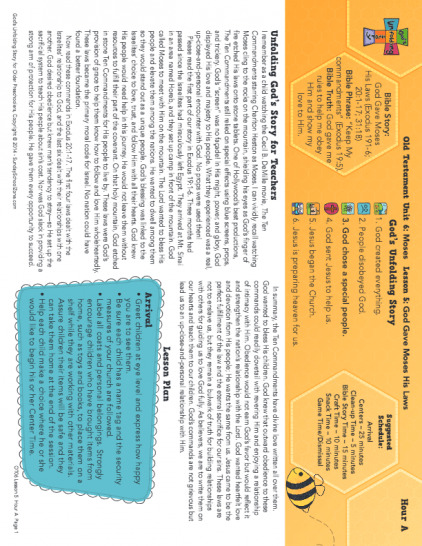 You can find the same article as a blog post on the Sunday School Zone Blog. 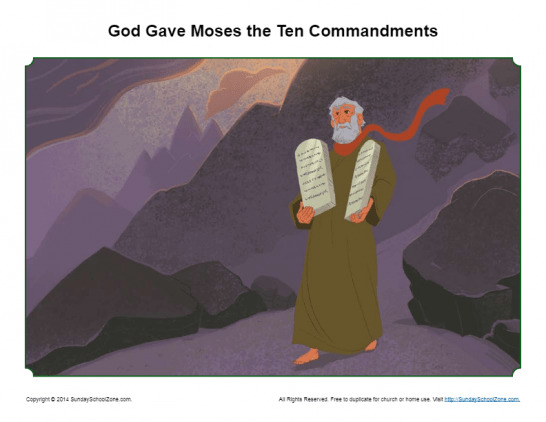 One of the most significant events of the Old Testament was God giving Moses the Ten Commandments. 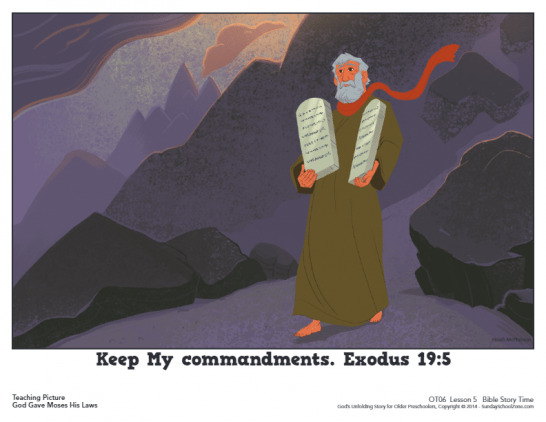 This Moses and the Ten Commandments Story Illustration will help kids learn that God is a God who speaks. He reveals Himself and His will.